What’s even better than Aerobics? Aerobics in the water (Aqua Aerobics)! Aqua aerobics is the perfect way to keep the heart and lungs healthy and tone up at the same time. And it’s great for stress relief as you literally take the load off in this fun filled water sport. Although you’ll be in a group, you’re free to work at your own pace, you’ll improve as you go along and become more confident with the exercises as you take part! Comfortable swimsuit or swim shorts that you easily move around in. Swimming aids (like floats) if needed may be provided by the club but best to check in advance. 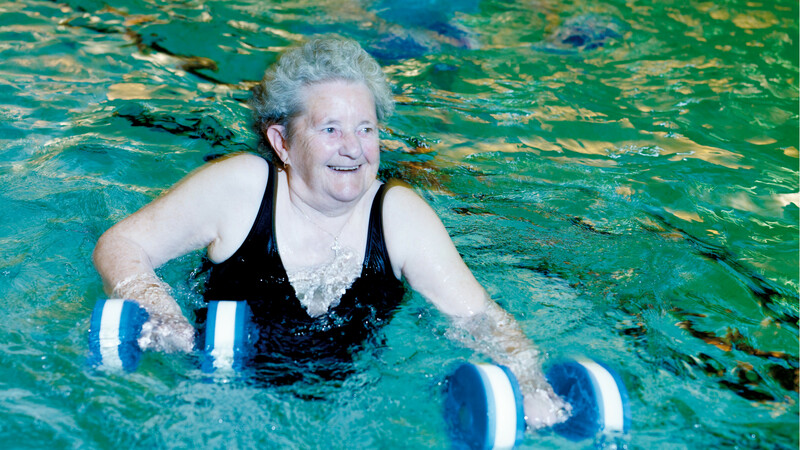 Want to find out more about aqua aerobics? Check out the Amateur Swimming Association’s get started website.